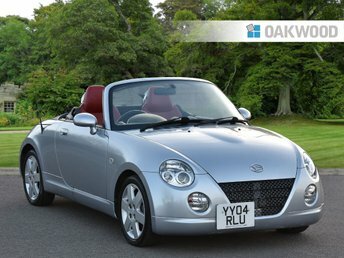 Here at Oakwood Motor Group you'll find a huge selection of used cars at affordable prices. As a leading second-hand retailer we've built a strong reputation for stocking a wide range of quality vehicles and delivering unrivalled customer service. Thanks to our attractive finance deals you'll have no trouble finding a vehicle to suit your lifestyle and budget. Save money on a used Daihatsu Sirion five-door or consider looking at the Daihatsu Terrios Tracker if you need an agile 4x4 that'll serve as a rural runabout. Take a look at all of our latest used Daihatsu cars for sale in Mansfield here on the website, and be sure to get in touch for more information.